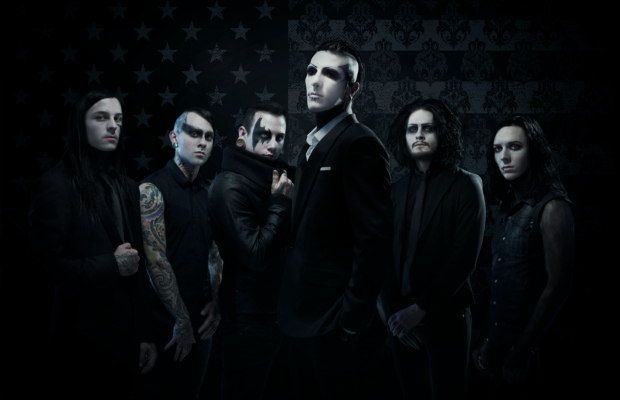 Motionless In White have revealed the artwork for their upcoming studio album, Reincarnate, along with a preview of the record's title track, which will be fully released on July 1. The record itself (one of AP's most anticipated releases of 2014) is due out on September 16 via Fearless Records. Check out the artwork and teaser of “Reincarnate” below. The band will be performing all summer long on this year's Vans Warped Tour. Get your tickets now and check out a full list of dates below. Additionally, Motionless In White’s Devin “Ghost” Sola has been nominated for Best Bassist at the inaugural AP Music Awards. Cast your vote now!